Angela Ferolla is a Fremantle fashion stalwart. 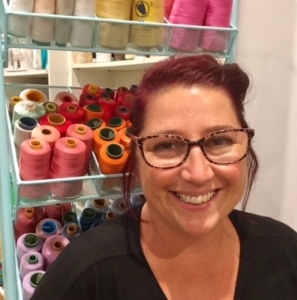 While juggling her vibrant fashion label Rocucu and teaching textiles to costume design students at WAAPA, the textiles artist has also completed both a BA and Advanced Diploma in Textile Arts and even fit in time to work with renowned Japanese designer Yoshiki Hishinuma as well as making costumes at for the West Australian Ballet. Angela is a warm, inspiring tutor with an enviable wealth of practical knowledge and skills that she is all too ready to share.